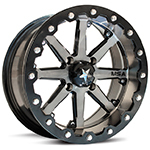 Do you love the MSA M21 Lok beadlock wheel? 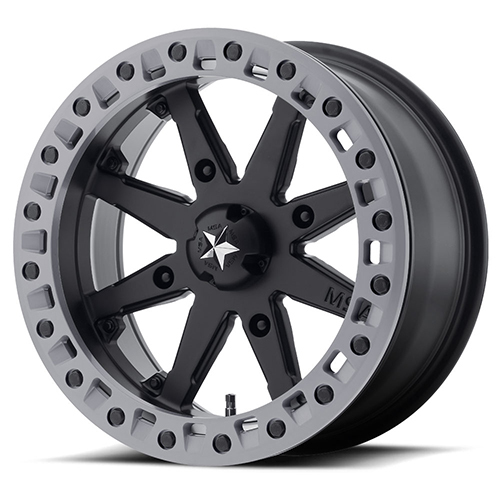 Then you are going to love the satin black M31 LOK2 wheels. MSA has followed up after a huge request from their customers and released the new MSA M31 LOK2 with a timeless facelift. It is available in a thick satin black paint and matte grey ring. The ring has been updated to a durable billet aluminum and enginnered with holes to make clearning up your machine easier. One of the biggest problems with beadlock wheels is after you hit the trails, debris builds up behind the ring. The MSA M31 LOK2 ring has specially designed wash out holes to ensure your wheels stay clean on and off the trail.